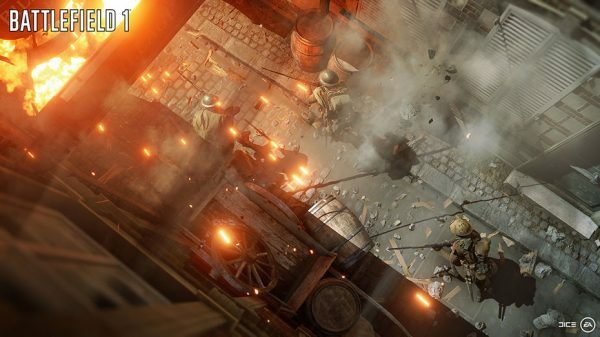 Battlefield 1 is getting a season pass for multiplayer content. EA has yet to officially announce a Premium service for Battlefield 1, but a page for one has popped up on Origin seemingly ahead of schedule. Called the Premium Pass, this season pass is priced $50/£40/€50 and includes access to four expansion packs. The two-weeks early access to said expansions returns, and the first one is called They Shall Not Pass, due in March, 2017. The page description reveals a couple of more details about the type of content Battlefield 1 will be getting post launch. Armies will seemingly be part of every expansion, with They Shall Not Pass including access to the French army. The Russian Army will be introduced in another expansion. New Operations, game modes, and Elite Classes are promised. The page also confirms that new weapons and vehicles will be added with each add-on. Premium includes 16 new maps in total – four in each add-on, 20 new weapons, and 14 unique dog tags. Battlepacks, too, will return, and Premium gets you 14 of them over the course of the season. Battlepacks are said to contain weapon skins, but no word if other unlocks will be included. The first Premium Battlepack will be delivered in November.